The peroxidase-labeled antibody (Ab) method，introduced in 1968, was the first practical application of antibodies to paraffin-embedded tissues for most clinical and research studies (Nakane, 1968). However, conventional secondary Ab (IgG)-HRP conjugates are basically limited to not more than 3 molecules of HRP per single IgG molecule, This molar ratio of conjugation is sufficient in routine Western blot or elisa, but may lack the sensitivity required for detecting targets present in low picogram to femtogram amounts without the use of additional steps to amplify the signal.,in particular, immunohistochemistry. 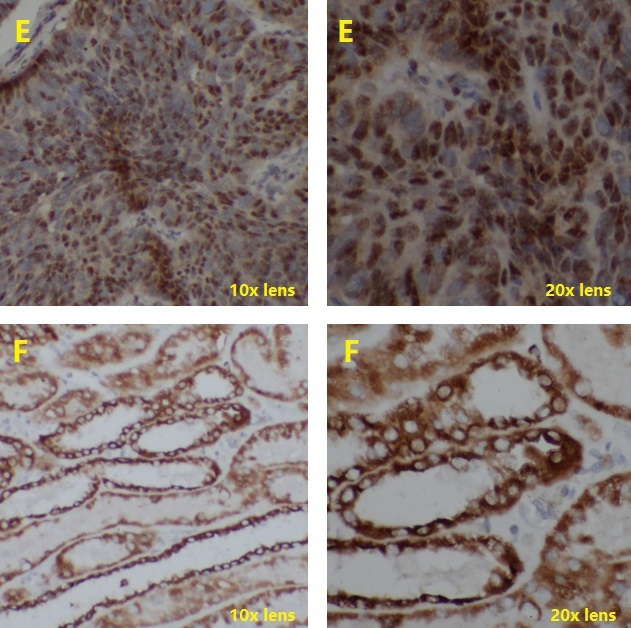 During the past few decades, improvements in the reagents and protocols used for immunohistochemistry have led to increased sensitivity of detection systems. A several-fold higher antigen detectability than those achieved in enzyme–anti-enzyme immune complex techniques (PAP and APAAP) (Sternberger et al., 1970) or in standard avidin/streptavidin–biotin-complex (ABC or SABC) and Labeled StreptAvidin-Biotin (LSAB) protocols can be gained with the chain polymer-conjugate technology developed in the last decade of the former century. However, PAP and APAAP method which will form a huge skeleton structure in aqueous environment appears to create spatial hindrance, thus reducing the penetrative ability of the detection reagent, especially for hidden nuclear antigens. (for review see: Shi et al., 1999 and citations therein). 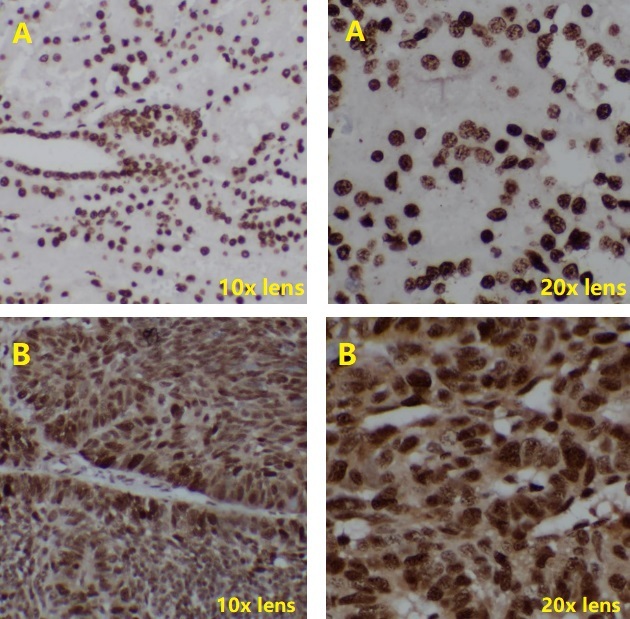 Since biotin (vitamin H) which is contained in many tissues has been introduced in ABC (SABC) method, it can combine with ABC (SABC), thereby generate nonspecific staining. Meanwhile, to reduce experimental step, enhence the signal, reduce nonspecific reaction, Fine Biotech adopts a new polymerase-mark system (including poly- HRP Goat Anti-Rabbit IgG and poly- HRP Goat Anti-Mouse IgG). More enzymes will connect to the single antibody through the arm structure. Meanwhile, the optimal structure of new system enhences the signal during immunochemistry and reduces the experimental steps. 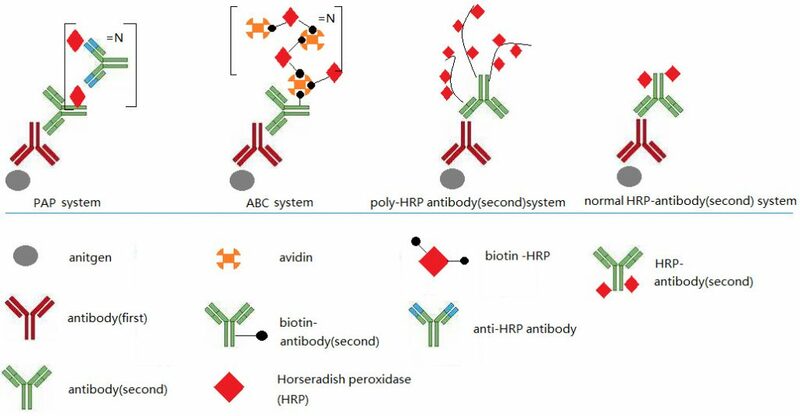 Two kinds of antibodies form Fn-test (Fine Biotech) are tested, high concentration targets (Loading Control Antibodies) and lower level targets. 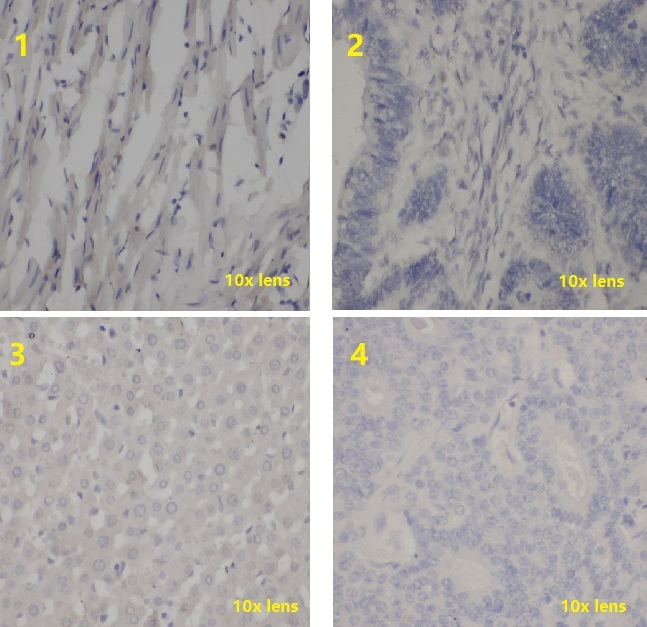 Second antibody (Poly-HRP Goat anti rabbit IgG(Catalogue No.ES-0004)and Poly-HRP Goat anti mouse IgG(Catalogue No.ES-0003) form Fn-test (Fine Biotech). rat heart (G). Poly-HRP Goat anti rabbit igG with 1:100 dilution and Poly-HRP Goat anti mouse igG with 1:100 dilution. 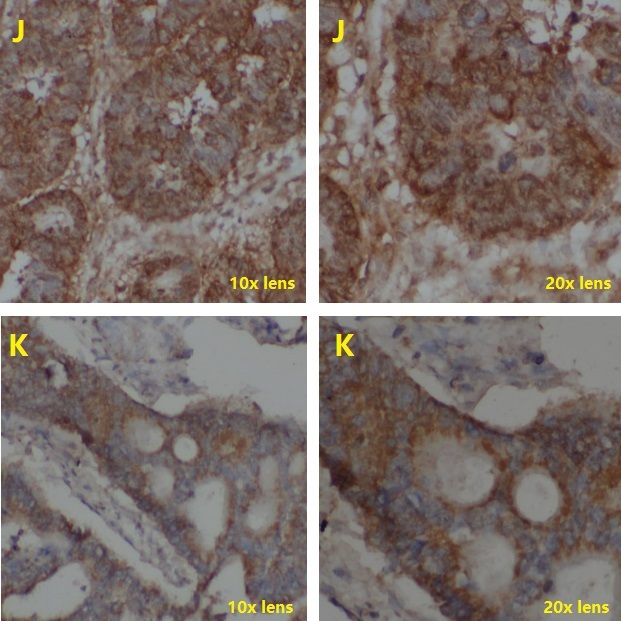 Staining with DAB at 10 mins, Nuclei were counterstained with Mayor `s hematoxylin. 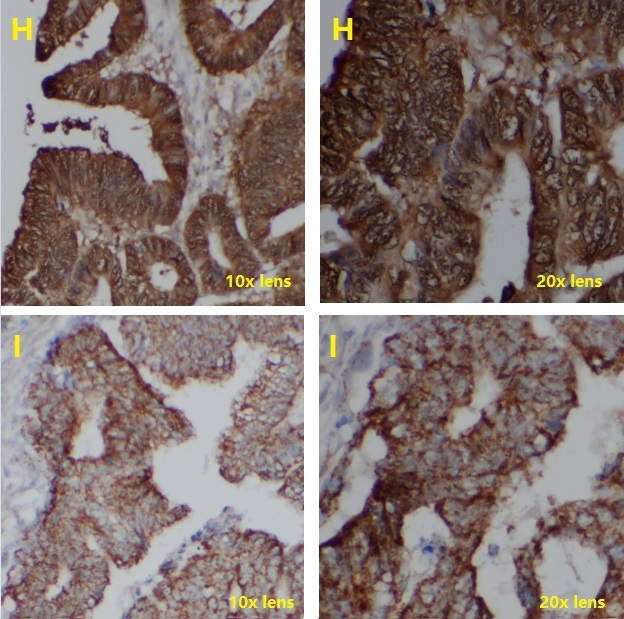 Tissue samples immunostained in this negative control test: rat heart (1), human colon cancer (2),rat liver (3), human breast tumor (4). 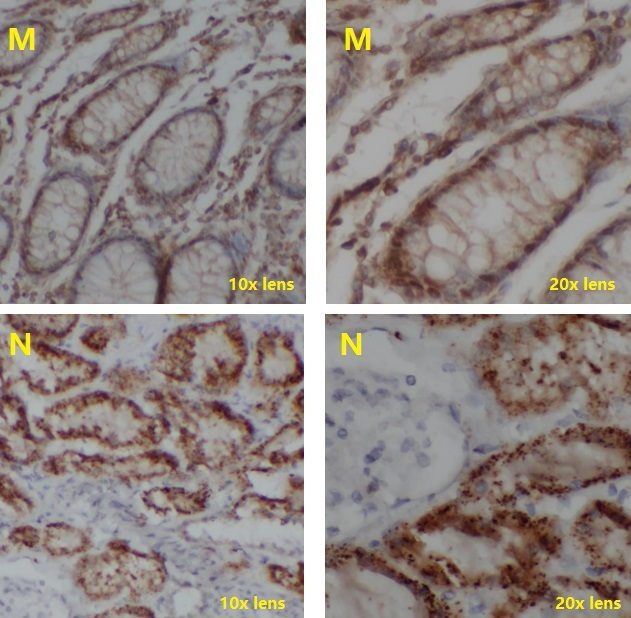 Negative serum as first antibody, Poly-HRP Goat anti rabbit igG and anti-mouse igG with 1:50 dilution mixture. 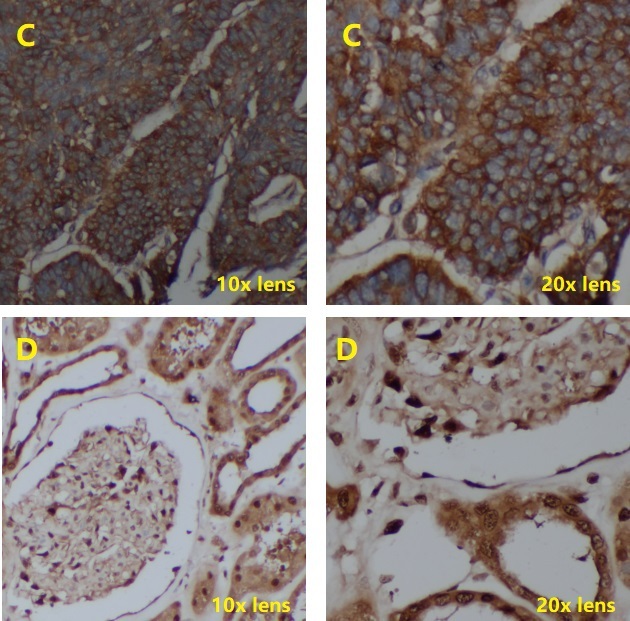 Staining with DAB at 10 mins, Nuclei were counterstained with Mayor `s hematoxylin. The poly-HRP conjugates showed excellent signal amplification, without non-specific results, and greatly simplified the experimental procedure.